The Chime Loan Program was established by Area 9 in 2003 to promote the use of handchimes and handbells in educational settings across Oklahoma and Texas. Any organization within Area 9 is eligible to apply for the Chime Loan Program. You can get all of the details and an application from our website. Is there Psychology in Handbell Ringing? 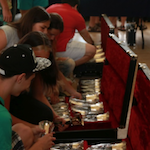 Have you ever wished you could talk directly to a handbell “celebrity” and ask them questions? Every other month, HMA hosts a one-hour live chat with a personality from within our talented ranks. The next Member Chat is on the Handbell Musician Certification Process. 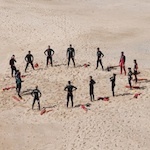 Chats are available exclusively to HMA members. 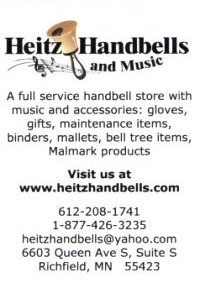 Non-members, you can join at join.handbellmusicians.org to get instant access!